Reporter's question: "I asked (players) about some of the student body wearing blue on campus and if it bothers them. Does it bother you at all?" 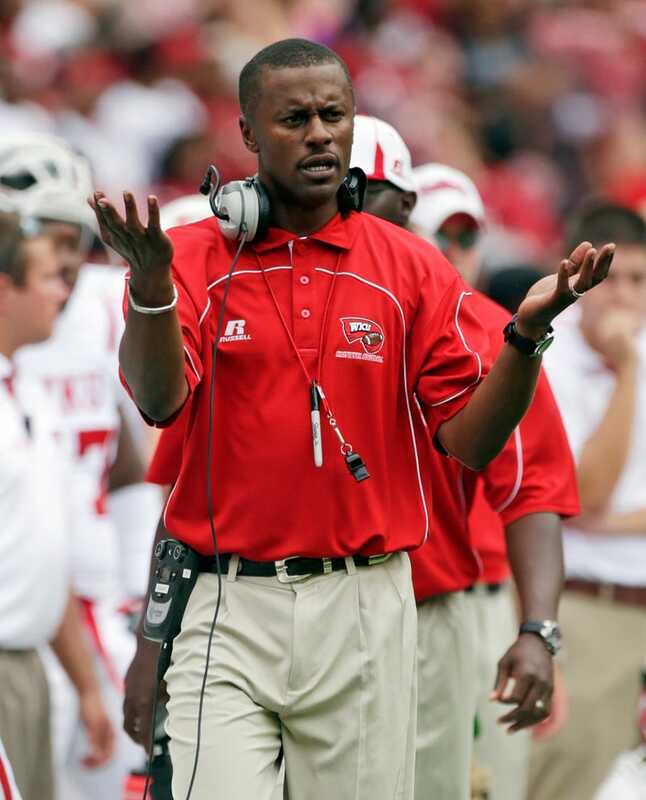 Taggart: "Yeah it bothers me any day, not just because it's UK week. It's just, it's not good. Whether it's respect or not it's just—It don't make a lot of sense. You know, you wear another school's shirt, jersey, whatever it is, and you don't go to school there. That makes no sense at all. Everybody wears it and I hear people ask them why they do it and the reason they're at WKU is probably they couldn't get into UK. That...was probably the wrong thing to say. While it might be true, and it might be a sick burn on those students whose grades weren't good enough for Kentucky, it's a sicker burn on your own school. Taggart quickly backpedaled on Twitter. I have said many times 'WKU is in my DNA' and I have tremendous respect for all of our students who attend this tremendous university. My earlier comments were intended to suggest that WKU students who wear UK apparel this week are not showing allegiance to our athletic program and football team in a week where we need everyone's support. WKU students consistently chase greatness and catch excellence, and we are all very proud of that. I should have stated this more clearly, and I apologize to any of our students who think I may have meant otherwise. We cool? We're cool. I'm sure the UK fans at Commonwealth Stadium won't remember any of this, or have signs and taunts ready to go.